Ron Paul is a member of the U.S. Congress (R) representing the 14th District of Texas. This Texas Straight Talk was first published on June 7, 2010. This past week several emerging and ongoing crises took attention away from the ongoing sovereign debt problems in Greece. The bailouts are merely kicking the can down the road and making things worse for taxpaying citizens, here and abroad. Greece is unfortunately not unique in its irresponsible spending habits. Greek-style debt explosions are quickly spreading to other nations one by one, and yes, the United States is one of the dominoes on down the line. Time and again it has been proven that the Keynesian system of big government and fiat paper money are abject failures in the long run. However, the nature of government is to ignore reality when there is an avenue that allows growth in power and control. Thus, most politicians and economists will ignore the long-term damage of Keynesianism in the early stage of a bubble when there is the illusion of prosperity, suggesting that the basic laws of economics had been repealed. In fact, one way to tell if a bubble is about to burst is if economists start talking about how the government and the Central Bank have repealed the business cycle. The truth is the laws of economics are constant and real, no matter how inconvenient they might be to politicians and bankers. This reality is setting in and the bills are coming due. In the mean time, countries that have no money have bailed out other countries that have no money, except for the phony money created by politicians, bureaucrats, and their partners-in-crime at the central banks. This may be preventing big well-connected banks from having to take on massive losses, but it is all at the expense of the taxpaying citizen. 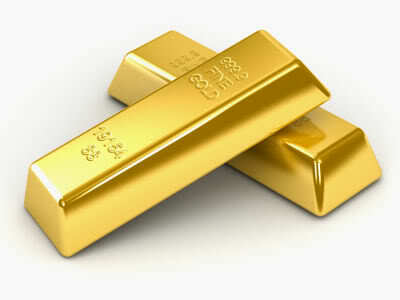 "Gold is not a typical investment. It is a defense against the predictable behavior of governments to debase a fiat currency under its absolute control." As governments and central banks continue the cycle of spending and inflating, the purchasing power of their currencies is constantly being degraded. These currencies are what the people are working for and saving. This inflation guts the savings and earnings of the people, who have very limited options for protecting themselves against these ravages. One option is to convert their fiat currency into something out of reach of central banks and government spending, such as gold or silver. It is fairly typical in the midst of economic crises like these for gold to come under attack from Keynesians economists and their amen corner in the media. The arguments against gold are usually straw men, based on a fundamental misunderstanding of the purpose of buying gold. Gold is not a typical investment. It is a defense against the predictable behavior of governments to debase a fiat currency under its absolute control. The people who run the printing presses have trouble shutting them off. In order to limit one’s exposure to this reckless behavior, it is wise to exchange unsound assets for sound ones. As the foundation of their power, their fiat currency, is rejected or avoided, government power is compromised. Fiat currencies trade the people’s freedom and security for the government’s freedom to squander the wealth of the nation on wasteful pet programs, wars, and corruption. This is why the freedom of the people is so intertwined with a sound monetary unit. This is also why the founders liked gold and silver, and supporters of big government hate them.